I n February, exceptional exhibitions are set to open across the globe. Some focus on titans of art history, like Picasso, Rembrandt, or Monet while others, like the Dallas Museum of Art's Berthe Morisot, Woman Impressionist or the inaugural Sotheby's Prize winner, Pop América, 1965-1975 at the Nasher Museum, shed light on artists less renowned. Above, preview this month's most anticipated exhibition openings. 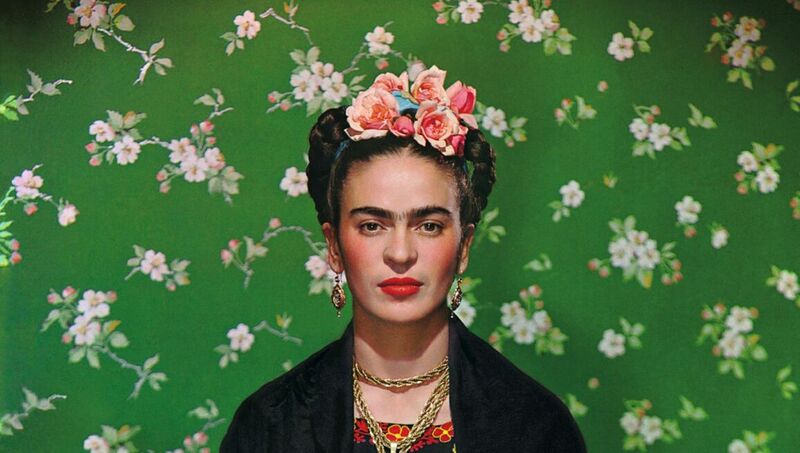 As the largest U.S. exhibition dedicated to the artist in ten years, Frida Kahlo: Appearances Can Be Deceiving at the Brooklyn Museum provides a rare opportunity to explore in depth the work and life of legendary Mexican artist Frida Kahlo. The show also marks the first time that Kahlo's possessions - usually on display at her Mexican home Casa Azul - will be on view in America. Nickolas Muray (American, born Hungary, 1892-1965). Frida on Bench, 1939. Carbon print, 18 x 14 in. (45.5 x 36 cm). Courtesy of Nickolas Muray Photo Archives. © Nickolas Muray Photo Archives. William-Adolphe Bouguereau's paintings enjoyed great renown during America's Gilded Age, which lasted from the late 1860s through the early 1900s. However, his star has waned somewhat since; and now the Milwaukee Art Museum's exhibition Bouguereau & America provides an overdue re-contextualization of Bouguereau's work. Displaying nearly 50 paintings by the French academic painter, this exhibition is the first devoted solely to the artist since the 1980s. William-Adolphe Bouguereau, Homer and His Guide (Homère et son guide), 1874. Oil on canvas, 82 1/4 x 56 1/4 in. Milwaukee Art Museum, Layton Art Collection Inc., Gift of Frederick Layton. Photographer credit: Larry Sanders. The Frick Collection's exhibition Moroni: The Riches of Renaissance Portraiture showcases the innovative paintings of Giovanni Battista Moroni (1520/24–1579/80). The show presents around twenty of the artist’s portraits, alongside complementary objects, such as jewelry, textiles, armor, and other luxury items, which evoke the historical period of Moroni and his sitter's, while also helping to demonstrate his painterly radicalism. Giovanni Battista Moroni Isotta Brembati, ca. 1555–56 Oil on canvas 63 x 45 1/4 inches Fondazione Museo di Palazzo Moroni, Bergamo - Lucretia Moroni Collection Photo: Fondazione Museo di Palazzo Moroni, Bergamo. Monet: The Late Years, a comprehensive installation, allows viewers to meditate on the late works of a celebrated artist, Claude Monet. The paintings featured in the exhibition date mostly from 1913 to 1926 - the period in which Monet's blindness most affected his artistic style. These fifty paintings by the influential French Impressionist will be on display at the De Young Museum in San Francisco. Claude Monet, Water Lilies, 1916–1919. Oil on canvas. 51 1/4 x 79 in. The Metropolitan Museum of Art, New York, 1983, © The Metropolitan Museum of Art. Image source: Art Resource, NY. Image provided courtesy of the Fine Arts Museums of San Francisco. Male French Impressionists like Monet, Renoir and Degas have long been famous around the world. Now, the Dallas Museum of Art's exhibition Berthe Morisot, Woman Impressionist seeks to illuminate the crucial role that Berthe Morisot (1841–1895) played in the development of the Impressionist movement. The show's timely reevaluation of Morisot’s oeuvre is the first to be held in the United States since 1987. Berthe Morisot. The Cradle, 1872. Image courtesy of Musée d'Orsay. Pop Art typically brings to mind artists like Andy Warhol, Roy Lichtenstein and Keith Haring. The Nasher Museum's exhibition Pop América, 1965-1975 offers an alternative perspective of the movement. The show will feature almost 100 works by Latino and Latin American artists from Argentina, Brazil, Chile, Colombia, Cuba, Mexico, Peru, Puerto Rico and the United States. Raúl Martínez, Cowboy, 1969. Black and white photograph, hand-painted with acrylic. The Art Gallery of Ontario's exhibition Impressionism in the Age of Industry: Monet, Pissarro and More focuses on a significant aspect of French Impressionism: depictions of the changes to society that the Industrial Age wrought. The show features over 120 artworks, including paintings, photographs, prints, drawings, sculptures and period films, and uses its original angle to highlight remarkable artists that portrayed France's industrial transformation. Claude Monet, Arrival of the Normandy Train, Gare Saint-Lazare, 1877. Oil on canvas, 60.3 x 80.2 cm. Image © Art Institute of Chicago/ Art Resource, NY. With All the Rembrandts, the Rijksmuseum simply offers, during the 350th anniversary year of Rembrandt's death, an unparalleled display of all the Rembrandt's in the Rijks collection. The year-long exhibition will be the first time that the museum presents all 22 paintings, 60 drawings and more than 300 best examples of Rembrandt’s prints. Rembrandt van Rijn, Self Portrait as the Apostle Paul, 1661. Courtesy: Rijksmuseum, Amsterdam. Fondation Beyeler presents, with the exhibition Picasso - Blue and Rose, a remarkable chance to experience the works of a legendary artist, Picasso, all of which were painted during two of his most artistically fruitful periods. Picasso's Blue and Rose periods, which lasted from approximately 1901-1906, preceded the artist's revolutionary Cubist period, but are no less ingenious. The works on display at the Neue Galerie's exhibition The Self-Portrait, from Schiele to Beckmann allow the viewer to consider, in one venue and across one exhibition space, the contributions that painters like Max Beckmann, Oskar Kokoschka, Egon Schiele and Ludwig Meidner made to the field of portraiture during the first 50 years of the 20th Century. Max Beckmann, Self-Portrait in front of Red Curtain, 1923. Oil on canvas, 48 3/8 x 23 1/4 in. Private Collection © 2019 Artists Rights Society (ARS), New York / VG Bild-Kunst, Bonn.